Recently I found a bit of time to poke around in the world of Linux and BSD distributions and possibly even get back in to the reviewing business now and then. NomadBSD seemed like an interesting project to try for somebody partial to the Slackware and BSD way of doing things, but still searching for a BSD that is actually working as a day to day OS while being reasonably responsive, i.e. not bloated and running well on old hardware. That means trim and fast, without the desktop environment and a browser gobbling up all the resources. VirtualBSD was a fine piece but since its demise there hasn't been anything similar to dip your toes into FreeBSD to my knowledge, let alone the other flavors. I reviewed it here seven years ago. How many? Yes, time flies. To say it right away in order not to waste anybody's time, NomadBSD works, and it works beautifully. Well, with a small caveat in terms of connectivity, but we'll come to that. 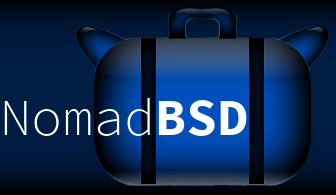 As alluded to, "NomadBSD is a 64bit live system for USB flash drives, based on FreeBSD®. Together with automatic hardware detection and setup, it is configured to be used as a desktop system that works out of the box, but can also be used for data recovery" according to their website. It fits on a 4GiB USB flash drive and can be booted via BIOS and UEFI. Which is just as well as an old 4GiB Corsair Flash Voyager pen drive is all I had. Additional information on their Github account. Hardware used: Dell Latitude 4300, 2 GiB DDR3 RAM, 80 GiB WD 7200rpm spinning hard drive (non-SSD), Intel Centrino Core2Duo 9300 @ 1.6 GHz (up to 2.26 with Boost), 1066MHz FSB, USB 2.0, Intel Mobile 4 Series Chipset integrated graphics and Intel Corporation Ultimate N WiFi Link 5300 wireless, 13.3″ notebook display with 1280x800 (WXGA). It's been a nice little workhorse and backup laptop and recently had the battery replaced which it appears makes it run a bit cooler in daily operation - the previous one was seriously damaged after all this time and running at those high temperatures may have damaged some inner parts of the laptop, but it took me a while to catch on to this and replace the battery. After downloading the latest 1.0.1 release we need to extract the LZMA file before it can be written to memory stick. 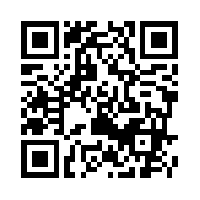 Instructions for all the major operating systems can be found on the Download page. In practice this means dd to usb for all but on Windows where one can use Disk Imager. There's also a package list which is linked on their main page for all those who are interested. Once the image has been written, voila, reboot from your pen drive and enjoy NomadBSD. That's how easy it is and you get a nice looking desktop and a useful collection of applications with it. I didn't take any screenshots so you'll just have to believe me that I ran it but check out the ones in their screenshot section. They show off the desktop and the installed applications perfectly, no need to duplicate. Somebody also did a video review of this release which can be found here on Youtube. The entire image takes just under the 4GiB of space recommended but fits on nicely without complaints about running out of space. So what do we get? Booting was fairly quick and the FreeBSD 11.1 heritage is immediately obvious, in fact as this is supposed to be a mobile FreeBSD they are not trying to disguise it. We need to answer a few questions regarding preferred shell, i.e. bash or zsh, time zone , language and keyboard layout and we're good to go. You are logged in automatically. At first I wasn't sure about the desktop but they seem to be using a mix of the Openbox window manager and Xfce utilities with Tint2 as the panel and Compton for effects. All in all an appealing desktop in the vein of similar Linux distributions using Openbox or Xfce and which are aiming at more light weight resource usage. NomadBSD also includes Qt5 though, presumably to support the inclusion of Cantata as the premier music player. In the bottom right of the panel sit applets for calendar, volume and the drive access plugin. The system is absolutely loaded. Most notably, in the office section you get the full LibreOffice 5 as well as ePDFViewer. When those documents are done the Gutenprint suite of printer drivers will come in handy if you actually want to print something out but I did not test this. For browsing there's the choice between Firefox and Palemoon and also Lynx for browsing in text mode. There are also three email programs pre-installed, Sylpheed and Thunderbird, both very popular, the former more with light distributions, so whatever takes your fancy. Neomutt caters to the crowd that is more comfortable with terminal applications. Also included are Pidgin with the off the record plugin and Hexchat but I did not find Skype or Wire. I think it's safe to say the developers are going for the free, as in non-proprietary, software options. Filezilla and Transmission are also included, the latter with Qt-Gui. Xarchiver and Galculator complement utilities most likely required on a daily basis in accessories and Leafpad and Vim as editors. The real choice starts when we get to multimedia, in particular music players. You get Deadbeef, Cantata, Audacity, MPD, VLC, and Xfburn and Asunder to burn and rip discs respectively. Feh and Mirage are onboard for viewing graphics. Sakura is the main terminal although Xterm is also installed, and you get a choice of two very fine independent file managers, Thunar and PCmanFM. Again, if you like to work in a terminal, Midnight Commander is also an option. GnuPg and Nmap are included for our security needs, to enable encrypting/decrypting and network testing. On the lighter side of things is a game of Tetris to play while watching that output. Gtkam caters for plugging in cameras and xsane is installed to handle scanners. Virtualbox guest additions come pre-installed so you can also try this without plugging it in on an external drive. NomadBSD has all sorts of language packs and spell checkers on board which should make it appeal to a wider international audience, from Arabic over Hebrew to Russian and Vietnamese, with a good selection of fonts too. As a nod to people working long hours or with eye strain/ poor sight Redshift is included to enable adjusting the color temperature. A thoughtful inclusion, but going down this route a magnifying glass and a text-to-speech engine would have also been nice and not used that much more disk space. Sound worked fine. Touchpad and track stick worked fine as did a usb connected mouse. NomadBSD was stable and appeared quite responsive in my usage considering it ran from a much used old pen drive and via the bottleneck of a USB 2.0 interface. Subjectively, with near native responsiveness and only a slight delay sometimes, it actually was more responsive than some of the heavier Linux distributions that have been installed on this machines hard drive. I liked that there is always an option to use command line applications, be it for those under powered machines or simply because that's the user's preference. I really like the way it has been put together and would imagine it will be very useful with the range of applications included, although not sure which average mobile office worker would want to run LibreOffice on BSD from a stick. As a tech demonstration and introduction to FreeBSD it certainly fulfils its purpose, just as it provides an easy way of running it without going through a full installation from scratch or as a live environment for compatibility testing when going out to buy new hardware. It would be even more useful without the wireless problem if you actually manage to do a bit of browsing with it. Which is a shame, because up to this point NomadBSD had seemed like a great choice to carry around in your pocket and get a bit of a BSD fix - or do actual work. It is nice that the people developing this little gem are quite responsive. The next 1.1 release is planned for the end of June and a release candidate should be out for your testing pleasure now should you be so inclined. This should fix the firmware issue.